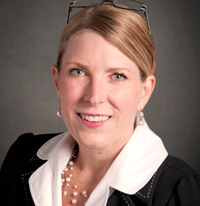 Dr. Kristen Betts is a clinical professor in the School of Education at Drexel University. Dr. Betts has over 20 years of experience in higher education serving in key leadership positions within private, public and for-profit institutions as a program director, senior director for e-learning, director of online & blended learning and chief academic officer. Dr. Betts’s expertise is in higher education, online and blended learning, curriculum development, instructional design and faculty development.